"This Better Be Some Saturday Night!" Tyrone Purvis, also known as Pine Top, is a man who owns the Honeydripper Lounge in Alabama. It's 1950 and the middle of nowhere, and business is far from great. In fact, he only has one weekend to make up the deficit in what he owes so that he can keep his business afloat. He has lots of ideas for how to drum up business, including hiring a legendary guitar player to entertain at the club for the weekend, but a rival club encroaches on his territory, and he may have to resort to desperate measures in order to survive. 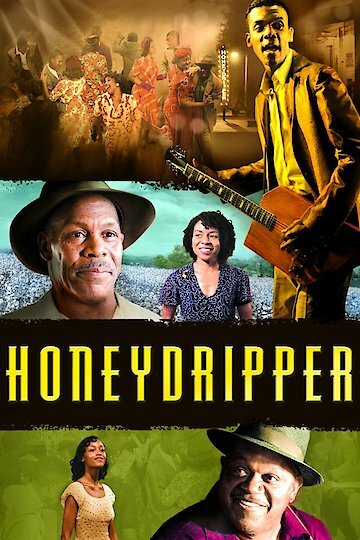 Honeydripper is currently available to watch free on Vudu Free and stream, download, buy on demand at Amazon Prime, Amazon, iTunes online.